Check out this Mangiami Italiano Chef's Table Raffle! For only $25, you'll be in the running for this unforgettable experience. You don't need to be present at the Grand Event to win! 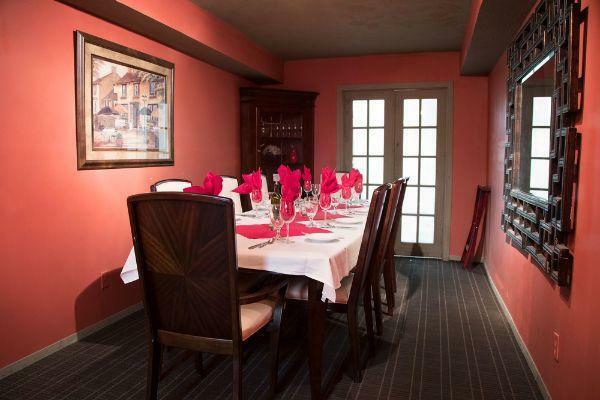 Your $25 raffle ticket puts you in the running for a four-course family style dinner for six in a private room at Mangiami Italiano, in downtown Fort. Your evening includes appetizers, salads, pasta, entrees and dessert, all offered with expertly paired wines ($500 value). If you don't win, you've still donated to a great cause -- your Warrior teens thank you! Raffle ends at 6:50 PM April 13; winning ticket drawn from all online and night-of purchases and announced after dinner April 13.